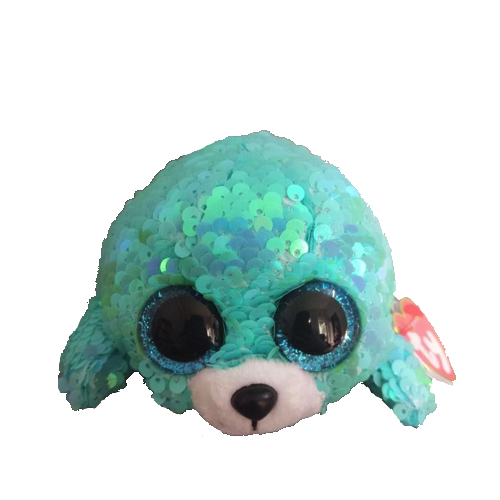 Waves is a seal covered in flippable sequins that are a turquoise colour. He has large, glittery blue button eyes and a black button nose. His muzzle is white and he has a black stitch smile. Waves was released in January 2019. His Birthday is on 5th September. This is the small 6″ Flippable version of Waves. He was also released as a key clip.